If you walk onto almost any construction site, it’s reasonable to expect you will have a security camera looking at you. Some construction site cameras are monitored live and others are recording to investigate an incident after the fact. Clearly, construction companies are challenged with providing safety for employees while keeping valuable assets and materials secure. Fortunately, it’s never too late to get on top of your site surveillance. Now you can access simple-to-manage, high-definition, video surveillance cost-effectively. Continue reading to learn how surveillance systems can put your construction site at an advantage! Loss of time and materials are a concern for many construction companies and investment— setting up video surveillance of the work site can make a tremendous impact. There are a number of nuanced security issues facing construction sites like theft of piping, tools, lumber, steel and other raw materials, as well as accidents and vandalism. Installing security cameras can address all of these issues. In addition, insurance providers often offer reduced rates for sites that are equipped with video surveillance— be sure to ask your insurance carrier today! Surveillance cameras can allow selected individuals to view time-lapse video of the daily activities on the construction site, enabling viewers to monitor progress and identify/address potential problems before they occur. This can inevitably protect the health and lives of the workers and play a major role in loss prevention. 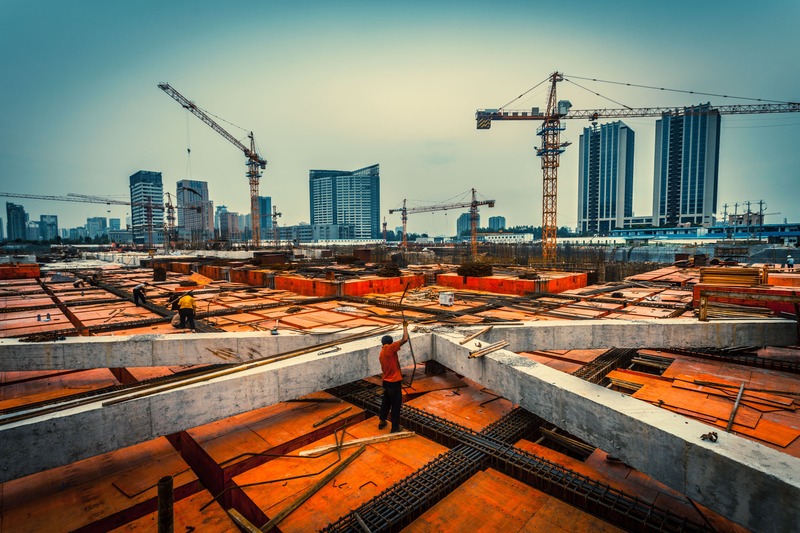 Video systems can offer the ability for construction managers and other stakeholders to remotely monitor progress at a construction site of any size. Video surveillance also offers the opportunity to make live or recorded video status records of the project's progress available to other stakeholders-- this might include company executives, subcontractors, as well as local agencies. Using a high zoom level, cameras can allow for detailed monitoring of objects and face recognition of people visiting or working at the site. Construct a compelling message about your jobsite using surveillance cameras. Depending on the project, there are multiple options for using camera feeds for promotion. You can promote your project with still images or live feeds of the site in progress. Exposing your content to viewers can either drive traffic to the project's website, or hype the public for the construction's completion. You can even use the camera feed as a marketing tool to pre-sell the space-- show investors how well the project is coming along! Strengthen your investment by reusing the cameras upon project completion. We only use state-of-the-art technology, and can help to guide you as we move the cameras to their new position once the building is completed. Not only is this cost-effective, but it offers another opportunity to learn more about the camera products in use around the premises. If you’re planning to be involved with a large scale industrial or commercial construction project, you should give serious consideration to construction site surveillance. There’s a wide variety of issues that can interfere with the cost and smooth maintenance of a construction site. Whether you have invested thousands or millions in a construction project, protecting and monitoring the project is absolutely essential. After all, all it takes is one lapse in security to turn a great construction project into a major problem that can cost you time, money, the health and security of workers, and your company’s reputation. Don’t leave the security of your site to chance; rather, look into surveillance systems today!